Wanted to send a recap of the trip. It’s something I’d like to do for all trips, but don’t always have the time. After leaving Northport at 5:20AM, we arrived at 9:30ish Saturday morning. We started out at the base of Panther Mt. on Fox Hollow Road around 10:30 after arranging cars at the end of the hike. 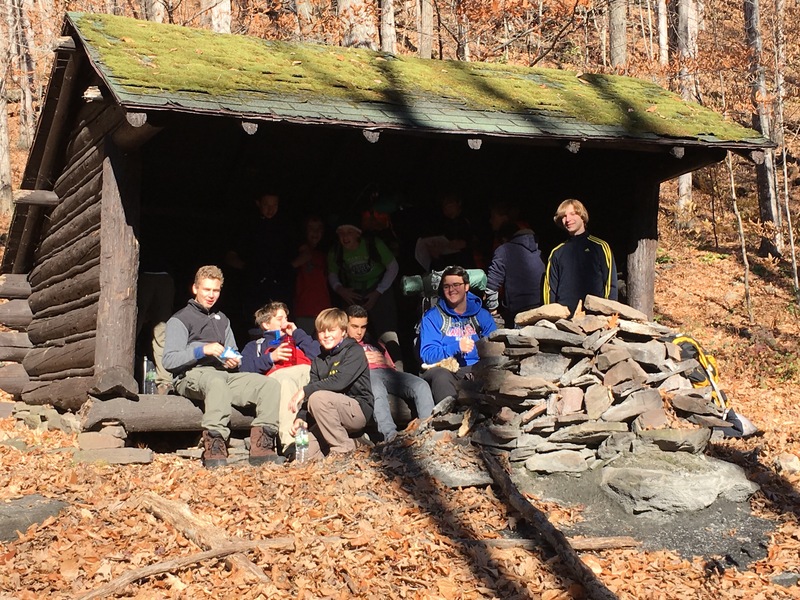 Here is a picture of the scouts at a lean-to at the very beginning of the hike at roughly 1600ft in elevation. It is a steady climb to the peak. Some (maybe all) of the boys were faster than me to the lunch location. I got there about 12:45. Here is a picture from an APP that I have that tracks some additional data on the screen. The view during lunch was fantastic and cooling off in the shade it was pretty chilly. 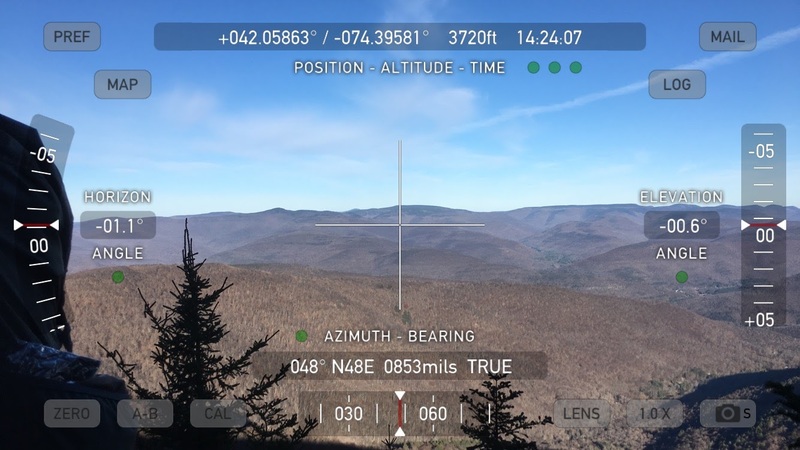 About 90 minutes later, the older slow pokes reached the summit at 3720 ft. The view was fabulous. A few weeks back it must have been even better with all the foliage in color. I reached the camp around 4:30. Elevation is 3200ft. Rumor has it the lead scouts and ASM John Kabicinski arrived two hours earlier. They did have nice fire set up. We went to the spring to fill up our water bottles (try finding that in the dark). The temperature was a cozy 27 degrees and fairly windy. We ate our dinner and the last of the boys were in tents to sleep at 8pm. Us leaders were shortly behind at 9pm. Day one mileage was roughly 7 miles and 2100ft in altitude gain. Coming back down 500ft to camp site. Sunday has us up at 630-7am and starting to fuel up for the grueling hike down the mountain. After packing up all our gear and cleaning the site, we started off about 9:00. The hike takes us consistently down for about 4 miles or so until you hit a nice wall that needs to be scaled. It’s a scramble roughly 250ft straight up before starting back down to the end of the trail. It’s a punch in the gut to see it. Especially after walking downhill (and thinking you are almost done), through leaf covered paths, blocking your view to the nice ankle bending rocks under them. Group pictures of the hikers at the end of the trail. Elevation here is 1350ft. Second day hike of 5 miles totaled 1850ft of descent, plus that 250ft killer vertical. All in all, the boys had a great time. Try not to miss the next hike. Thanks to all leaders that attended to make this a memorable trip up Panther Mt. for the scouts.